Good brands tell stories. In order for your product or service to remain at top of mind, the stories you tell must not only be relevant to, but also connect emotionally with, its target audience. It turns out that telling an effective story involves knowing how people think. 1. Use simple language that anyone can understand. Resist the urge to include a lot of technical jargon and acronyms. Using a lot of big words will not only make people feel as though they are being talked down to, it is a signal of poor intelligence and questionable credibility. Having a lot of numbers or facts to back up your argument might be good for a dissertation or court argument, but not if you are trying to sell your brand. 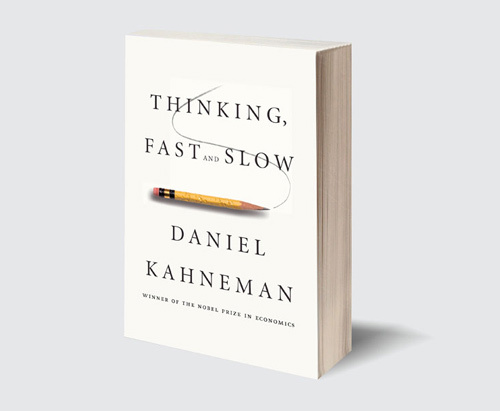 “The amount and quality of the data on which the story is based are largely irrelevant,” says Kahneman. 3. Don’t focus on length, focus on key points and the ending. We typically don’t remember everything we read, but we can recall key points and the conclusions reached if a story is well written. Pacing the story so that highlighted information is sprinkled throughout the content, and then ending with a strong argument, will help keep the key benefits of your product or service at top of mind for your customers. 4. Color is key—especially for key information. According to research, bright blue and red are more believable to readers. Using color can highlight important information that you want readers to remember about the brand. Avoid using green, yellow, or pale blue—they are harder to read. 5. Stories are most memorable when they use good prose. Verses that rhyme or incorporate alliteration are easier to remember. Think of all the jingles from television commercials that get stuck in your head. Although they are annoying, you have a tendency to remember the product or brand that they are for. The tactics above will help shape the perception of your brand in the mind of customers. For more thoughts about the importance of telling good brand stories, please see some of my other posts, such as “How to Make Customers Love Your Brand”, and “Successful Brands Tell Stories”.